Our focus is on results. At the Center for Heat Treating Excellence (CHTE), we work together with industry members to improve heat treating processes. We can do the same for your organization. Open to all members and registered guests. Interested but not a member? Contact Carol Garofoli at (508) 831-5992 or garofoli@wpi.edu. Steve Ferdon (right), Director of Global Engineering Technology in the Fuel Systems Business Unit at Cummins, received CHTE’s Distinguished Service Award at the June meeting. 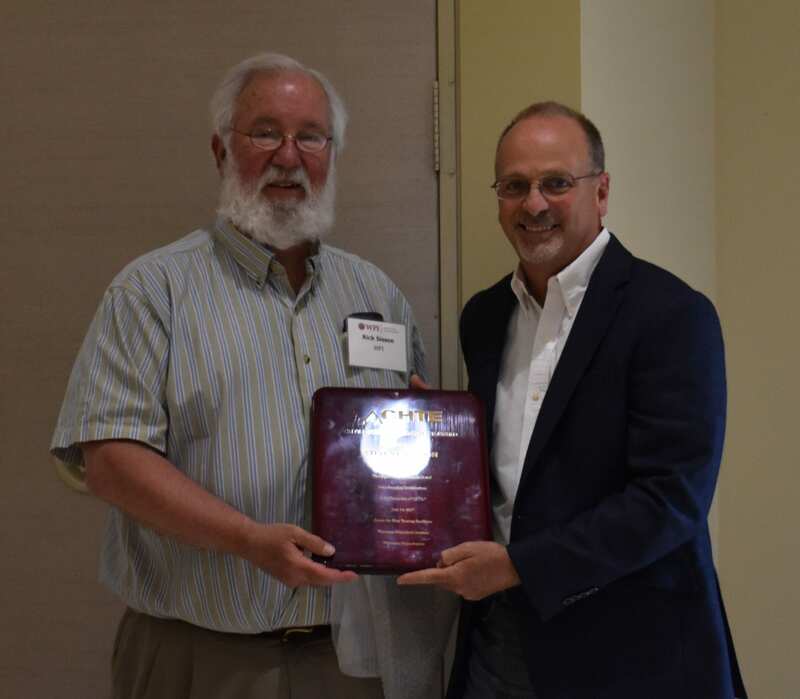 He was recognized for his significant, commendable and long-standing contributions to the center and the industry. Ferdon’s leadership at CHTE has contributed to mentoring the next generation of engineers, formalizing industrial membership governance of the Board of Directors, and sharing technical knowledge of heat treating applications with members. Read more.